Yes, great shot! 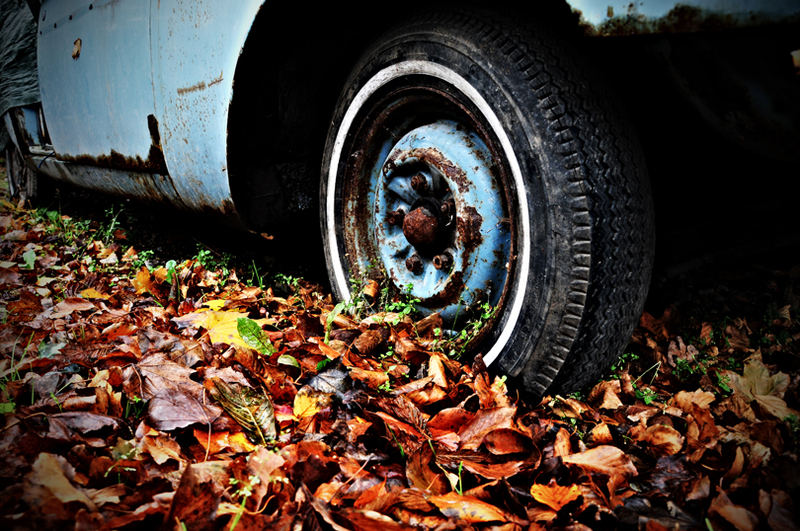 Like the decay of both nature (fall) and car. Beautifully captured! Love the pushed processing look to this – suits it perfectly.